Blood in Swimming Pools - Chlorine may effect the color of Reel Blood depending on how much chlorine is in the pool. The more chlorine the more the blood bleaches out. 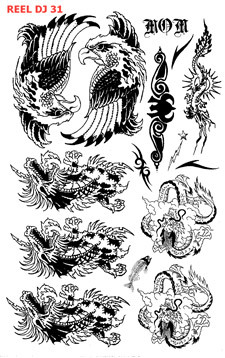 This sheet contains: 'MOM', Eagles, Dragons, Tribal. Sold by the sheet only.